What’s the biggest challenge when starting and growing a business? Let’s face it, doing the work is easy! Doing the work is hard (and that’s why people are willing to pay you) and doing the work is what you know. That’s where your passion lays. That’s where your expertise lays. A singular focus on making a better product or service is great for long-term thinking. That singular focus on delivering a better service and experience for the customer is what has made Amazon what it is today. That thinking keeps many entrepreneurs at breakeven, or worse. It took Amazon decades to become profitable. 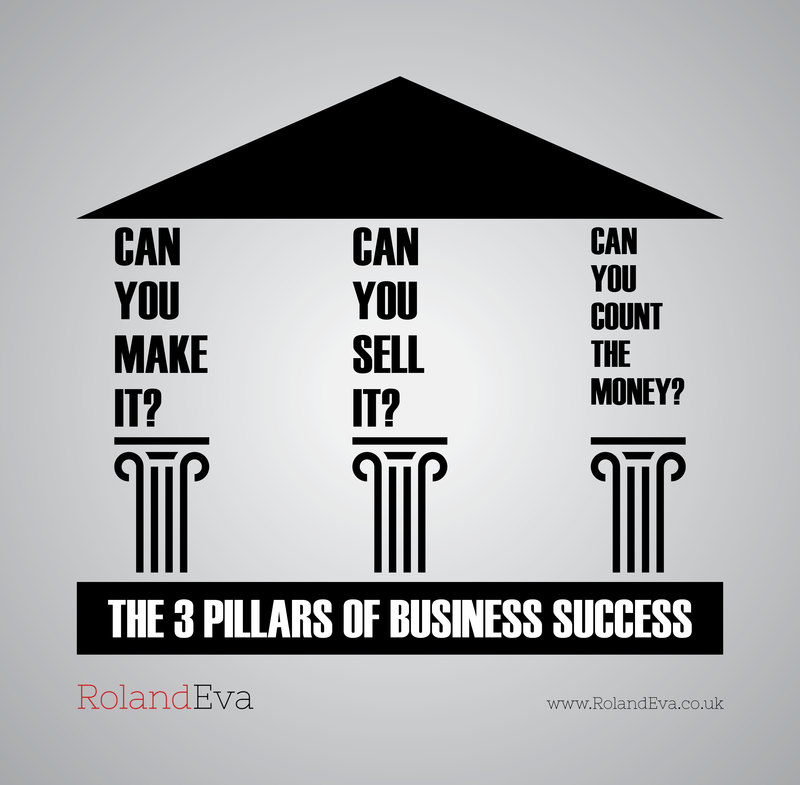 So unless you are funded by venture capital you need to start or grow a business with these 3 principles top of mind. For the purpose of this blog, I’m going to assume that You Can Make It. It, could be a product or service. It, is what you are selling. It, is the combination of your passion and expertise to help customers. As I've already said, for most businesses, their biggest growth challenge is finding a steady stream or a raging torrent of customers that are ready and willing to pay for your help. This blog will show you how! If you're looking for a steady stream or a raging torrent of customers, you need to know what your customers look like. If not, you are just looking for people with wallets, and that is a fast route to ruin. What you want to do is find your best customer. Someone that is willing and able to pay for your help… for all your help. You want the customers that will stay with you for years and rave to their friends about you. Now, if you don’t have a business or you don’t have many customers don’t worry. You are painting a portrait of a fictional character. This is your ideal customer. Someone who you are going to give a name so you are absolutely clear on who you are writing to and how you can help them. The first step is to grab the biggest brush and to paint the broadest strokes in the blandest colour. Because it gets the ball rolling. It starts your critical thinking. Don’t worry, we’ll pick up the smaller brushes in just a minute and add in the gold leaf. The first step is to ask yourself big demographic questions about who you want to help. Do you want to help Dad’s over 40 to lose weight? Do you want to help new Mother’s to get back in their jeans? 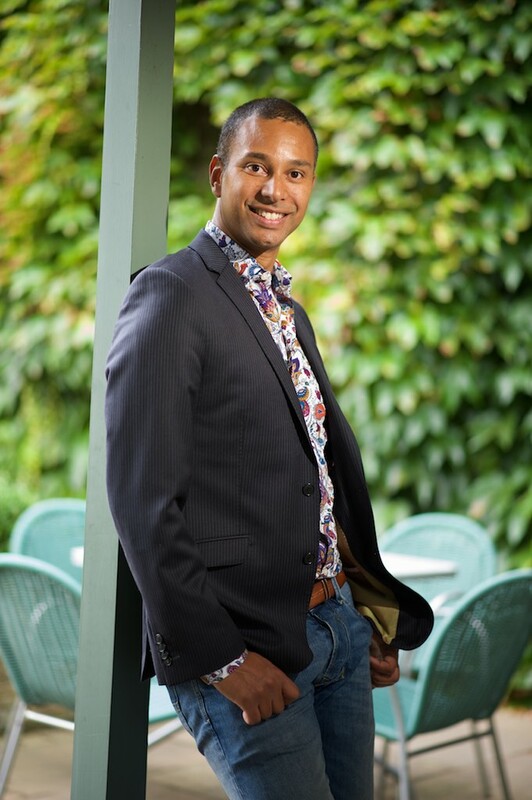 Do you want to help ambitious individuals to make money from property? Do you want to help passionate and experienced people to build their dream business? Now that you’ve laid out the broad strokes, it’s time to put down the big brush and to add in some of the finer detail. You see, if you want to help ambitious individuals to make money from property, don’t stop there. You need to ask yourself who is ready and willing to pay for your help? That’s what you are trying to find. Your best customers. Those that can afford to pay for your products and services and are willing to do so. Let’s face it, most people believe that property is a path to wealth. They also believe that property is the exclusive playground of the rich. And most people think that investing in property is easy, so they will not pay someone to learn how to do it properly. So, who are the people that are ready and willing to pay for your help? Those that are slightly older. Ambitious individuals who might have tried to do it on their own and failed, and now see why they need to learn from an expert. So, for the property example, you could say that you are looking for men and women over 40 who want to invest in property. This little additional detail is an important one. You haven't added much more paint to your canvas, and this is what distinguishes your ideal customer from everyone that has a wallet. What other details help you find your ideal customer? Remember you want to find customers that are ready and willing to pay for your help. Take the time to consider the other features that distinguish your ideal customer. #2. What Do They Want? People buy what they want and not what they need! If you want to attract your ideal customers’ attention, you must talk to him about what he wants. We all have things that we are totally irrational about. Areas in our life where we will spend a lot of money because that’s what is important to us. You will know people that love fashion and others that hate it. When I say love fashion, I’m not talking about people that are dressed head to toe in designer labels. I’m talking about the people that clearly take pride in their appearance. For these people, clothes are important because they want to look good. So if you want to sell them another shirt, or dress all you have to do is show it to them. If you give them an irresistible offer, then you are likely to immediately make the sale. I’m an irrational buyer of shirts. I love interesting shirts and will happily buy one that I like even though I’ve already got 4 times the number of shirts than there are days of the week. At the other end of the spectrum, you've got the nonchalant buyer. Someone who will only buy shirts when the ones they have are threadbare. These buyers are likely to buy on price alone. In the personal development world, the irrational buyer is often called a course junky. These are the people that buy everything. It’s easy to look down on the course junky because of jealousy. After all, there are plenty of courses that we would love to buy if we had the money. As I become more successful in my business I find myself becoming more of a course junky. Why? Because the course junkies are often the ones that get the best results. They are the ones that keep learning and keep pushing regardless of the early setbacks, and they are the ones that push through to stunning results. So what makes a course junky? A burning desire to change your life! A burning desire that is stronger than the setbacks that you face along the way. 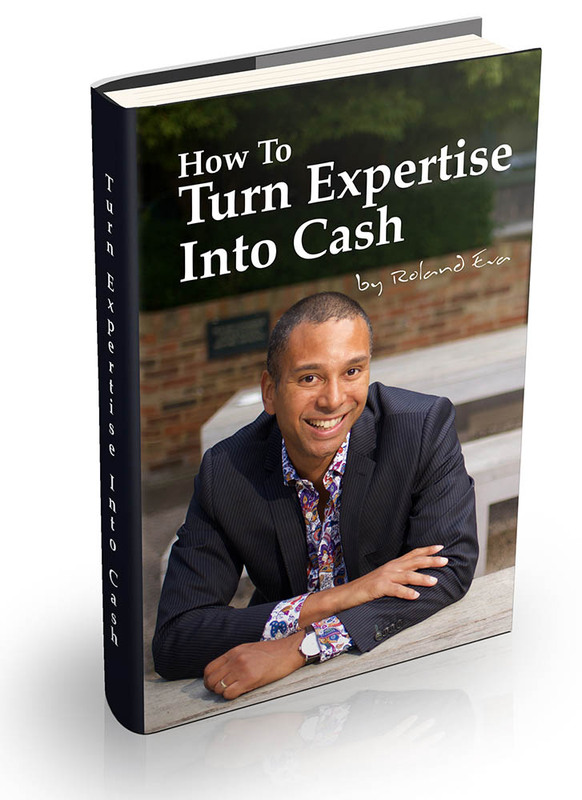 When I started my journey to discover how marketing could make the cash register ring, I couldn’t afford to be a course junky. If I bought a book for £7.99 I was going to read every word twice before I bought another book. Seriously, at that time, that was a lot of money for me. At that time, I didn't know anyone that invested in their own education. Sure I knew people that went to university, and that's where the learning stopped. It wasn't until I entered the world of property education that I discovered a sub-culture where learning and a commitment to improving your life is something to be proud of. This is where I first saw the course junkies… and this is where I saw first-hand that the course junkies are the ones that get the best results. If I’m honest, I was in awe of them because I knew that the early setbacks would have made me quit. What I didn’t see at the time, was that I had been a course junky in my marketing journey. I had kept learning and kept throwing good money after bad to learn how marketing could make the cash register ring. It’s funny how the mind works. The fact that you can see qualities that you admire in other people that you fail to see in yourself. So, before I veer entirely off topic, I'd like you to get clear on what your ideal customer wants. Make broad strokes with the big brush and then add in the fine detail with a smaller brush. Remember, you want to find the irrational buyer because they have the least resistance to the purchase and will stay loyal for years. #3. What Is Stopping Them From Getting What They Want? If your ideal customer knows what they want, then why don’t they have it already? What is the obstacle that is standing between them and their desires? The better you can describe the obstacle, the more you will earn the trust of your ideal customer because they will feel understood. In the property education space there are often 4 things standing between your ideal customer and their desires. The first 3 items on that list are things that you can easily talk about. The last item on the list is something that you can’t talk about directly… but you must talk about. How do you do that? We’ll get to that in just a moment. If you are selling knowledge, then that solves the first problem for the customer. But… you won't make the sale unless you can solve their other 2 problems. You share stories that show it is possible to invest in property while juggling a demanding full-time job. This can be your own story and the stories of people who have helped. How do you talk about Confidence and Self-Belief? Again you do this through stories. Through your own story and through the stories of the people you have helped. Let's face it, we all doubt our ability to change our lives. This is the brain's way of keeping us safe. Unfortunately, it's also the brain's way of keeping us small. Tony Robbins famously gets people to walk across fire. Why? So they can see that what they thought was impossible is achievable. That simple act proves to them that they can achieve anything they want, if they allow themselves to dream and think big. Your customer’s biggest obstacle might be themselves and their beliefs. No one goes to a weight loss expert because they want the secret sauce. What they want is some help to do what they know consistently. They need to know that if they are disciplined for several months that they will get the results that they want. They need to know that cutting out the immediate gratification of sweet or salty food is going to give them their ideal body. The more you can describe the obstacle and why it is so hard to remove, the stronger the relationship you will create with your ideal customers. #4. Where Do They Ask Questions? 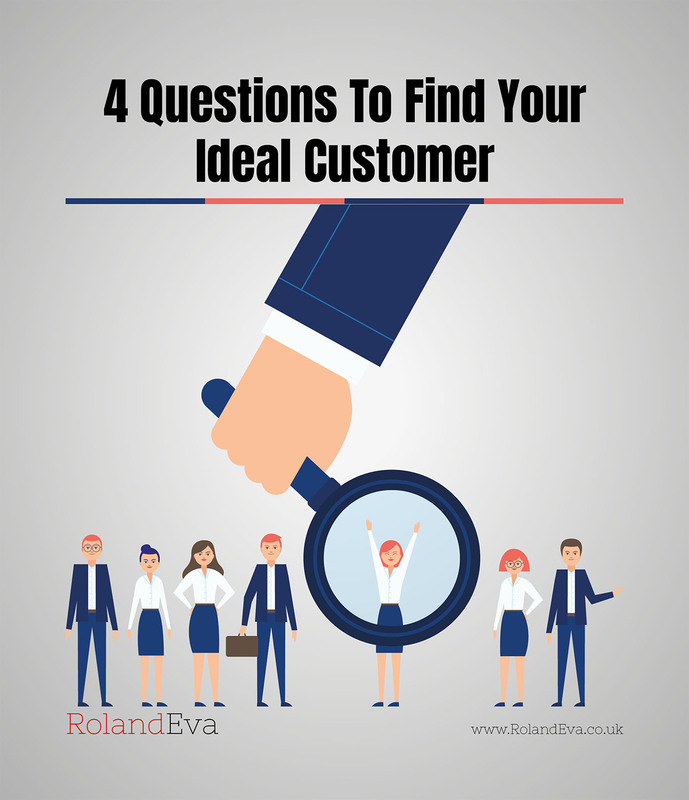 Where does your ideal customers ask questions? Both online and off-line. List as many places as you can. Because this is your steady stream or raging torrent. So, get crystal clear on where your ideal customer goes to ask questions. Don’t just write Facebook. Don’t even write Facebook Groups. Which Facebook Groups to they do in? If they are members of 10 Facebook groups, which are the 2 groups that they go in every day? Why do you need to get specific? Because you want to see a return on your time. You will only do that if you focus your efforts in the best places. You want to know that if you go on Facebook that you will take the necessary steps to grow your business and not just waste some time looking at what your friends have been doing. Similarly, what sub-Reddit’s does your ideal customer read? What are the one or two LinkedIn groups that they actively participate in? You will find your steady stream or raging torrent of customers that are ready and willing to pay for your help where they ask questions. This is their watering hole for information. All you need to do is show up and be outrageously generous, and you will attract their attention. What do I mean by outrageously generous? You need to answer questions as best you can. You need to try your best to solve the prospect's problem in your answer. Because when you answer their questions you do 2 very important things. You prove that you are listening to them! You prove that you can help them. Social media is not very social. There’s a lot of broadcasting, rather than personal conversations. We are all trying to shout louder in a desperate attempt to be heard. When you answer someone’s question, you immediately make them feel special because you have taken the time to help them. You also don’t have to shout to be heard because this person will eagerly read what you have written. Why? Because you are answering their personal question. When you prove that you can help solve a customers’ problem, without asking for anything in return then you earn their trust. Yes, there are takers in this world. People that just want to take and never give back. But, don't let one taker stop you from giving. When you give without asking for anything in return, and you prove how you can help your ideal customer what happens next? They ask you for more help. They become curious in what you have to offer. They read your ebook and then buy your products and services. You can show up where your ideal customer asks questions and give value in a personal way. Now, you might be thinking, that’s going to take a huge amount of time. So, where else can you answer questions? And how can you do it with none of your time? You can advertise on Google! You can advertise on YouTube! Whether you choose the free or paid route to find your ideal customer, or if you choose both, success starts by first identifying where they go to ask questions. Once you have found your steady stream or raging torrent of customers that are ready and willing to pay for your help, the first thing you need to do is start a relationship with them. To do that, you need to give them something of value. Something that is going to solve a problem for them. And you need to give this without asking for any money. The most effective way to package up valuable information and then give it away for free is with an ebook. I'm talking 10 to 20 pages of typed A4 that you design to be a 30-page ebook. So don't think you need to write a 200-page book. This is something that starts a relationship with your ideal customer. Something that brings them into your world. Once they have given you their name and email address in exchange for your ebook, then you can start a relationship with them. You can give them some more information to earn greater levels of trust before you ask them if they would like to work with you further (buy your products). How much trust do you need to build before making an offer? That depends on what you are selling. If you are selling nails, then you don't need to build much trust. If you are selling a £12,000 mentorship program, then you'll need to build a lot of trust. How long does it take to build trust? That’s different for every person which is why every email you send should be part of your nurture sequence. Every email adds value and develops the relationship with your community… even sales emails. You have an ethical product that can help people to change their lives. So, you should never be ashamed of asking people if they would like to work with you further. The way you ask them, will either strengthen or damage your relationship. If you can honestly say that every email you send strengthens the relationship with your community, then you have nothing to worry about. Find your ideal customer, earn their trust and make them feel good about buying. That's the simple formula for building your dream business. If you find your ideal customer and start a relationship with them in the way I've outlined in this blog, then you will build your dream business faster than you dare to dream. If you want to stop worrying about where your next sale is coming from then you need to know how to find customers that are ready and willing to pay for your help. That starts by painting a portrait of your ideal customer. So, please pick up a paintbrush and start answering the 4 questions. There are just 4 questions! Believe me, getting clear on exactly who you want to help will transform your business overnight. Getting clear on exactly who you want to help will give you a better return on your time investment. If you're building a business in the evening and weekends, then you are sacrificing time with your family to build your dream business. Do yourself and your family a faviour and get clear on who you want to help so you can get better results faster. Then show up where your ideal customer asks questions. As you've seen, there are ways to do this with your time or your money. Woody Allen famously said that 90% of success is showing up. You need to show up every day. You need to be consistent about showing up, and you will earn the trust of the skeptical customers. Those people that need to watch from the sidelines for a while before they make a decision. Show up. Give great value and watch your business grow faster than you dare to dream. That’s my promise to you, if you do the work.